Click here to read more After Hours Assurance client testimonials. "I switched from my veterinarian, whom I had been taking my pets to for over a decade, to North Dekalb Veterinary Clinic because they offered After Hours Assurance!" After hours coverage for exotic pets has been inconsistent in our area. Taking a few extra calls with the ability to triage from home without nuisance calls and pick up some new clients seems like a no-brainer! Since our initial meeting at the Florida VMA meeting in Orlando, and then our getting together following the 2009 Peter Piper Conference on Sanibel I have been impressed with the concept and notion that we as a general practice can still offer our clients full emergency service without driving ourselves crazy trying to do it. In the few weeks before we actually got the program in place, it was not my established clients that were driving me crazy, it was the strange calls in the middle of the night that had no relationship to an emergency. One guy called at 2:30AM and wanted to know where he could buy "medicine" to treat ear mites. Another call in the early morning hours involved a male cat with an erection -- I never was sure what he expected me to do about it! And then, there were some calls that were at least medical in nature, but for the most part they involved animals that had been sick anywhere from 3 to 5 days. So, what has transpired since that time following the After Hours Assurance program has been the elimination of the nut calls and probably many others that were not truly emergencies. I would relate three experiences that stand out in my mind that indicate how effectively After Hours Assurance is. The first was a call from a non client that is a client of one of our neighboring veterinary clinics. Her dog was acutely vomiting and passing blood in diarrhea and truly sick. She was so grateful that she had access to us that evening we got a very nice card following that visit and a report that the dog was doing well. She is still a client of our neighbor, and that's just fine; it was a pleasure to help her at a time of need. A second call was from one of our clients who had signed up for our Gold Plan, during that visit she just couldn't say enough about the peace of mind in knowing that help was only a phone call away what ever the time of day. And lastly I would relate the outcome of a call just a few nights ago. After receiving the call from After Hours Assurance I called the lady back and found that she lived about 20 miles from me and there were two emergency clinics much closer to her that she could get to far more quickly than our hospital -- she was grateful for the adivce and information I provided and I have not heard from her since. All in all, the After Hours Assurance program has made my life less hectic and I feel much more positive about providing veterinary service after our regular clinic hours. I have been especially impressed by the response of our own clients to the program and the number that have signed up for the Gold Plan. My advice for all veterarinans interested in providing complete veterinary service, especially to their established clients, is to investigate and take advantage of this program. Our four-doctor practice has been offering clients over the phone after hours advice since my father founded the practice 35 years ago. Our community and our practice had grown significantly, and our doctors were taking 20 to 25 calls every weekend. Despite the fact that it would have been very easy for us to do what every single one of the competing clinics in our area had done--stop taking calls and simply using an answering machine to refer callers to an emergency clinic after hours--our clients made it clear that they wanted this valued service. We listened to our clients. I was somewhat surprised how understanding our clients were when we implemented the After Hours Assurance program, and began charging them to speak with us after hours. I was even more surprised that our call volume dropped from 20+ calls to less than 10 on an average weekend. For me and all of my associates, our home lives have improved significantly. As the practice owner, I'm able to financially compensate my associates for their "on call" time. 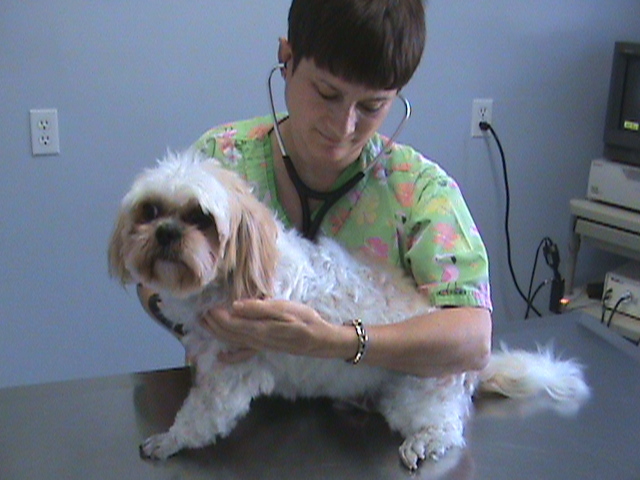 The clinic also has seen huge financial rewards not just from call fees and registrations, but by seeing non-emergency after hours patients the next business day, and growing our business with new clients who leave their non on-call veterinary clinics because they see the value in having after hours service available for their pets, if necessary. In the first month of using After Hours Assurance we recorded incremental revenues of an additional $5,200.00. My associates and I are thrilled to have the After Hours Assurance program and our clients are thrilled to be able to reach us when they believe they have an emergency after hours. I am tired of my family and I being woken up at 3 am because someone decided, after coming home from a late night out, to trim their dogs nails and end up cutting them too short. These callers never want to be seen, they just want to know how to fix their problems! I had always hoped that some day we as veterinarians would be able to offer after hour service and advice to our valued clients without the hassle of fielding questions all night long from internet or phone book-surfing pet owners with non-emergency related concerns. When Dr. Carmichael approached me about OCS, I knew it was for me. Initially, I was nervous about this change because I thought my clients would be very unhappy about paying for after hours advice. In the past, I had been available by pager to anyone, at no cost, unless they actually came into the hospital. I was pleasantly surprised to find out just how understanding my loyal clients were. As a solo practitioner, I appreciate the fact that On Call Solutions is there to screen all of the calls and contact me promptly when there is a paying client with an emergency. I couldn't be happier with my decision to work with On Call Solutions. The people involved are wonderful! I used to get four times as many after hours calls as I do now. I am consistently earning additional revenue. And, I believe that I have gained some new clients. We are excited about offering After Hours Assurance. It is something that is uniquely ours that online retailers cannot take away from us! Although we focus on the importance of veterinary technician education, we also stress to our customers the significance of client satisfaction. As consultants, we also assist in discovering ways to increase revenues. Through offering After Hours Assurance at their clinics, they can provide excellent client service and generate additional income. Amidst all of the competition for retail business, veterinarians need to think creatively on how to provide value added services that these competitors cannot offer. In my opinion, After Hours Assurance is an innovative new service veterinarians can now recommend. 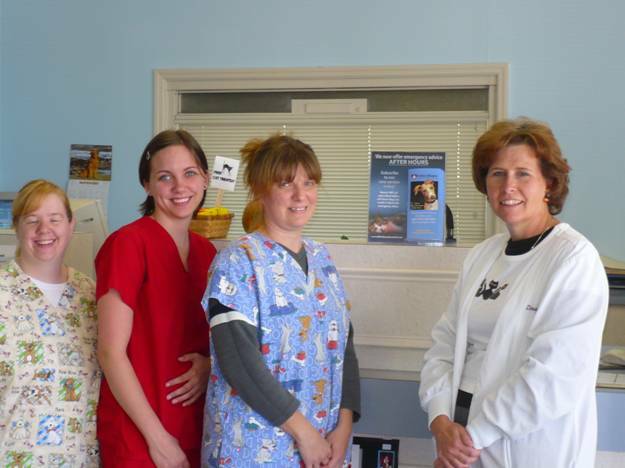 On Call solutions provides an excellent customer service tool for veterinarians. Clients keep the personal relationship they desire with their veterinarian and the veterinarian can now be compensated for emergency phone conversations. This service is a win-win solution to veterinary hospitals taking their own emergency calls.